Fortis Telecom - Business Focused. Technology Driven. 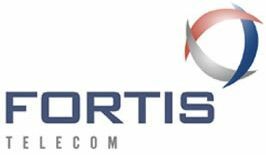 FORTIS TELECOM is the first local exchange service provider to deliver secure, high performance broadband internet, hosted VoIP, and IT Services. When a customer is given a choice between FORTIS TELECOM and the traditional wire-line phone companies, FORTIS TELECOM is the clear winner in price, performance and network support. The choice is easy: local expertise, faster delivery of telephone lines and internet, increased bandwidth, guaranteed reliability, no long- term contracts and low prices. FORTIS TELECOM - Helping local businesses connect through affordable High Speed Internet, VoIP communications, and managed IT services.